PI007. 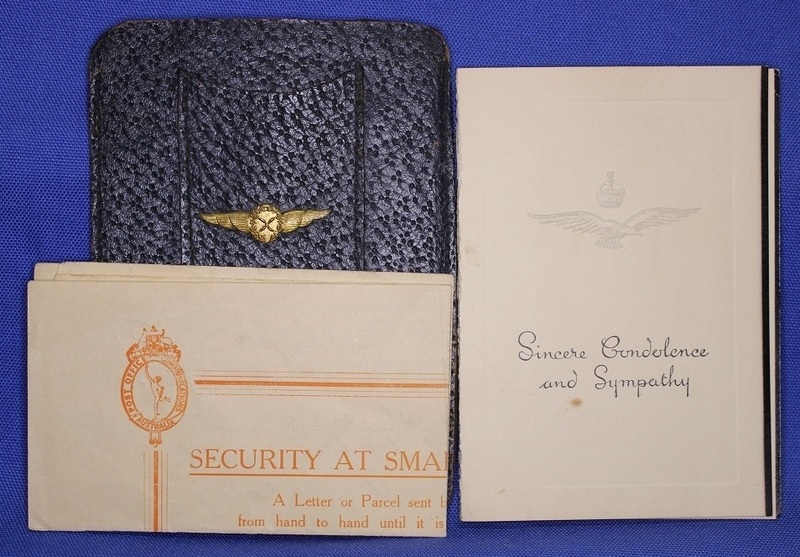 A black leather wallet with gilt wings containing a RAAF sympathy card and telegram dated 3 Feb 1941 from 407198 Colin Chenoweth to his father. Colin Maxwell enlisted on 20 Jul 1940 at Adelaide and was killed in action on 2 Nov 1942 while serving as a Flight Sergeant with 223 Squadron aboard Baltimore Bomber AG 582 over the Middle East. PI008. 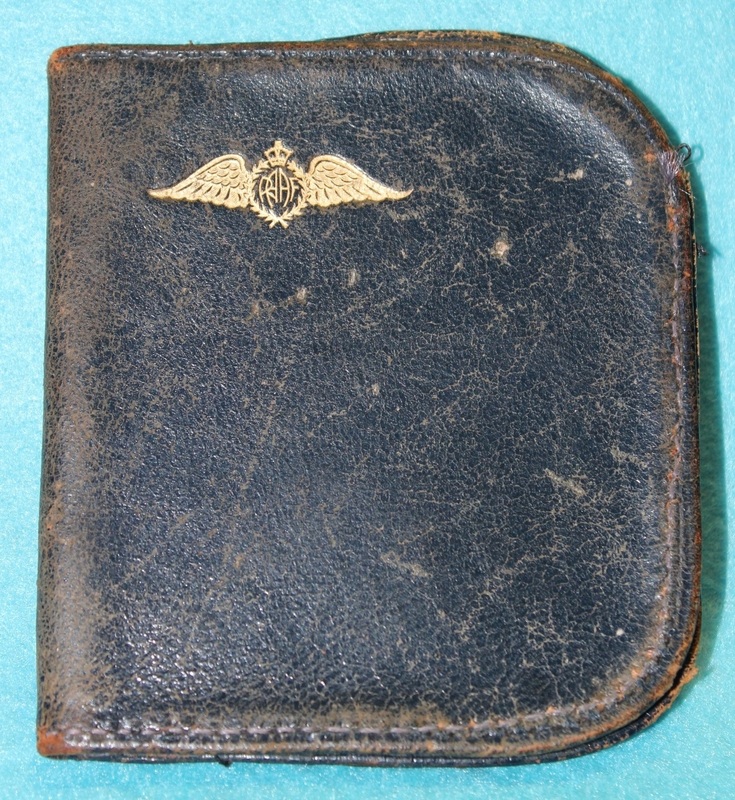 A small blue wallet with gold embossed wings. PI009. 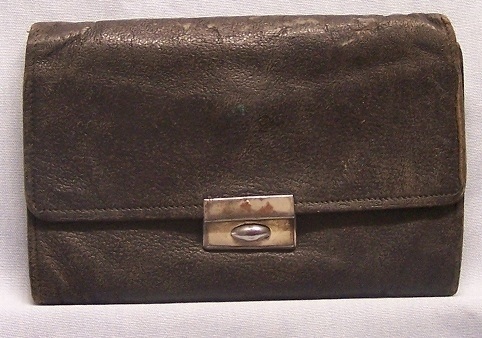 A black leather wallet with gilt and enamel wings attached. PI010. 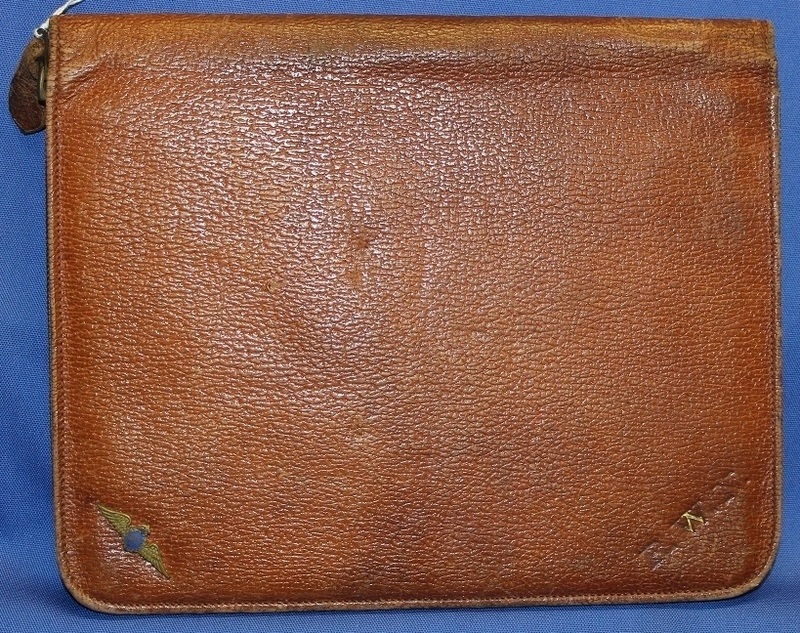 A brown leather wallet with gold embossed wings ant the initials D. J. B. containing a love letter and phone number. PI011. A small black leather compendium with silver embossed wings and gold embossed letters K. T. C.
PI012. 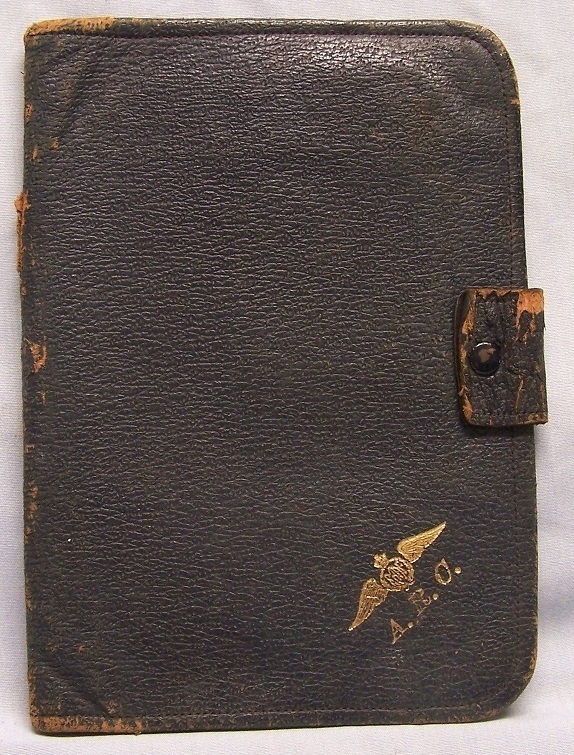 A brown leather compendium with gilt and enamel wings attached and the letters R. W. N. embossed in gold. Inside it has compartments for a notepad, envelopes, stamps and pen, etc. plus a V for victory writing pad..
PI012. 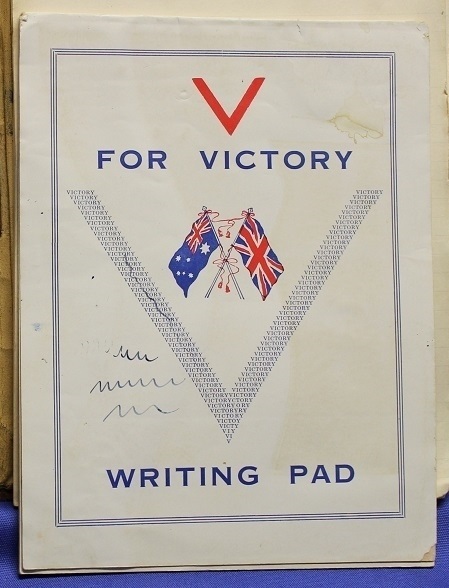 A V for Victory writing pad found in side. PI013. 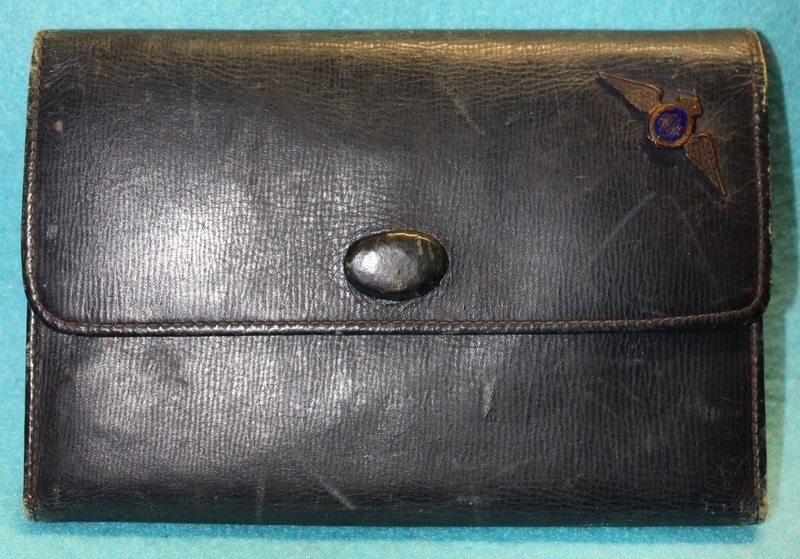 A blue leather Personality brand compendium with gilt and enamel wings attached plus the initials R. W. D. embossed in gold, inside it has compartments for a notepad, envelopes, stamps and pen, etc. plus a 1942 calendar. PI015. 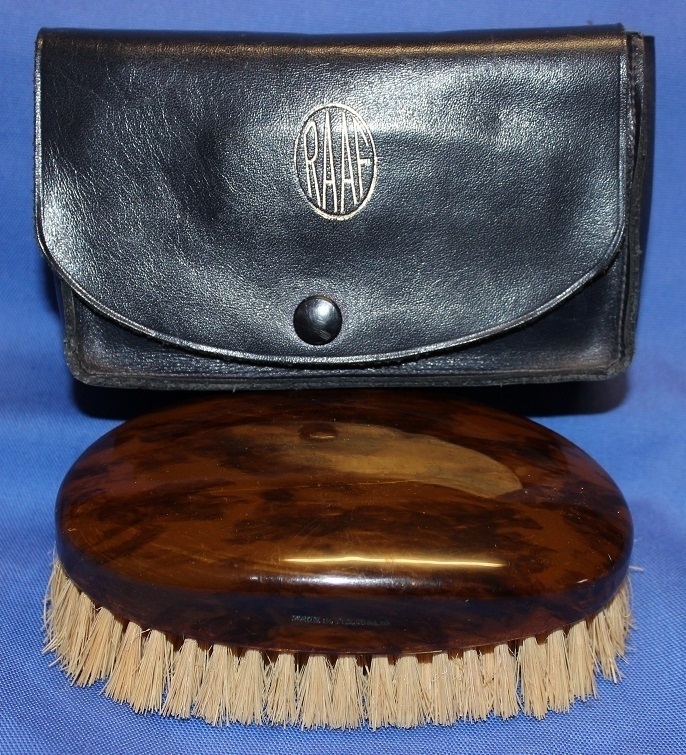 A small blue leather pouch with gold embossed RAAF, containing a brown clothes brush. PI016. 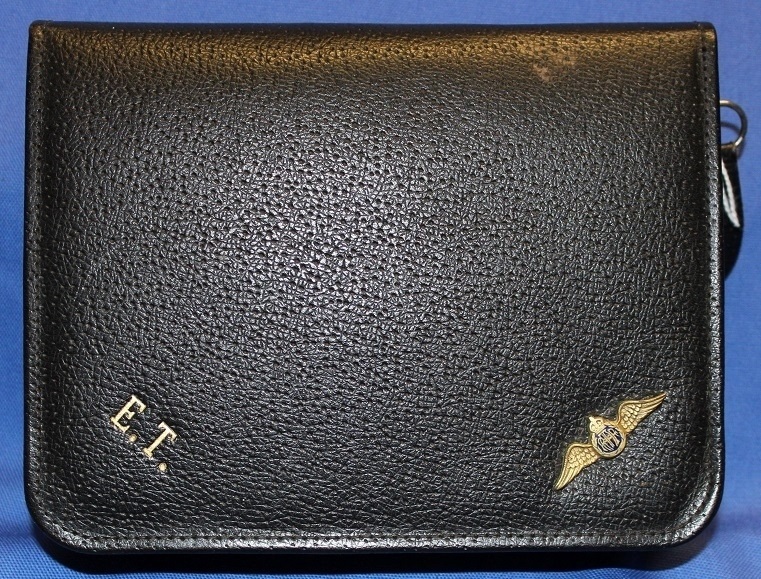 A black leather zippered pouch with gilt and enamel wings and the initials E. T. embossed in gold. 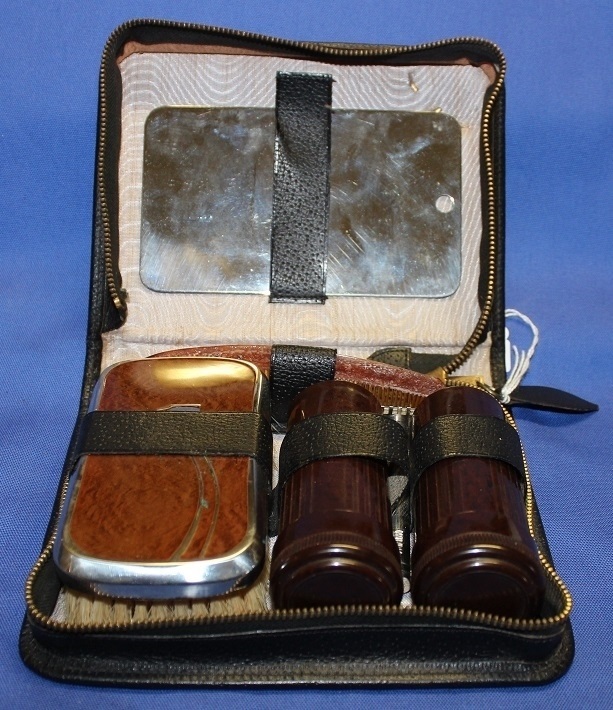 The pouch contains 2 Bakelite cylinders, a clothes brush, a comb, a metal shaving mirror and a Winna brand razor. PI017. 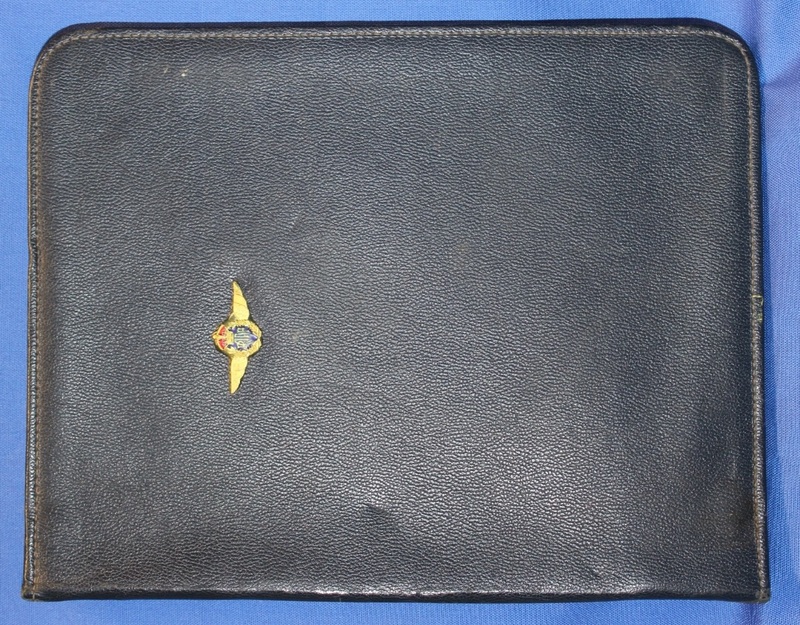 A blue leather compendium with a gilt and enamel badge attached, inside it has compartments for a notepad, envelopes, stamps and pen, etc. plus a 1964 calendar. PI018. 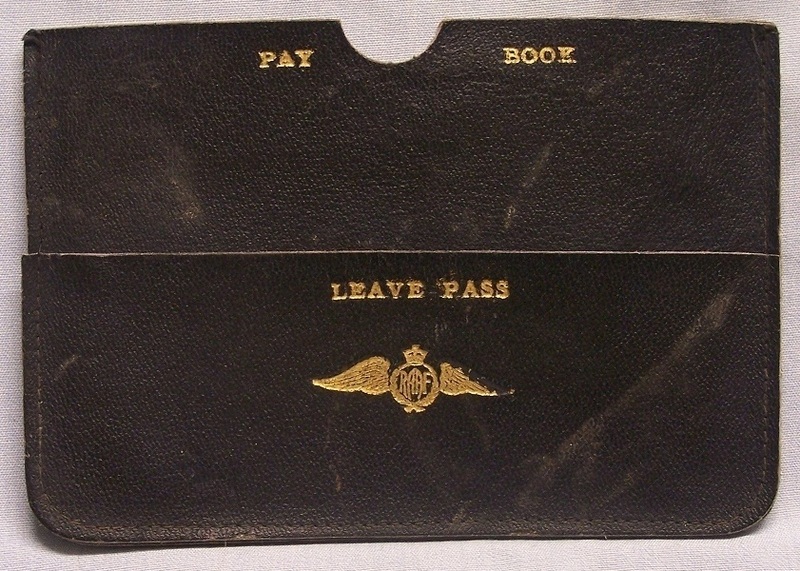 A black leather wallet with gold embossed wings, to hold a pay book and leave pass. PI022. 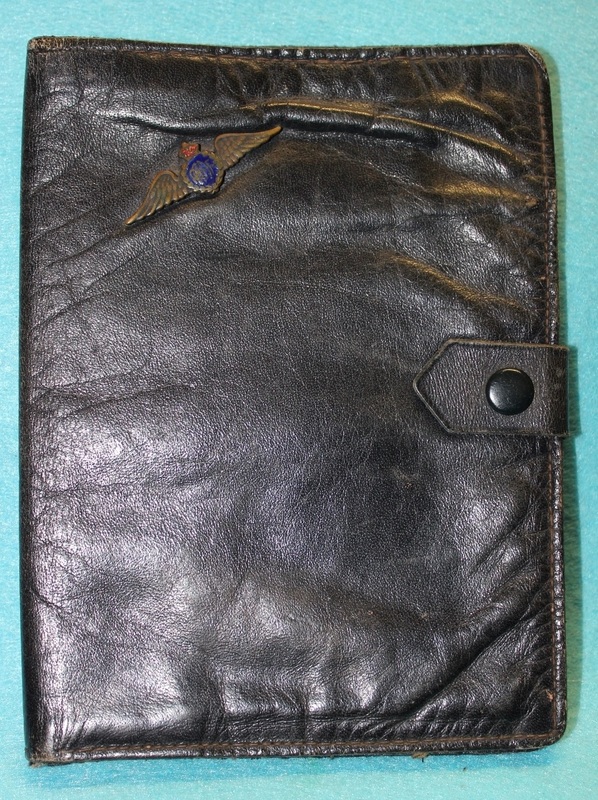 A small blue leather compendium with gold embossed wings and the initials A. R.C. It has compartments for a notepad, envelopes, stamps and pen, etc. PI025. 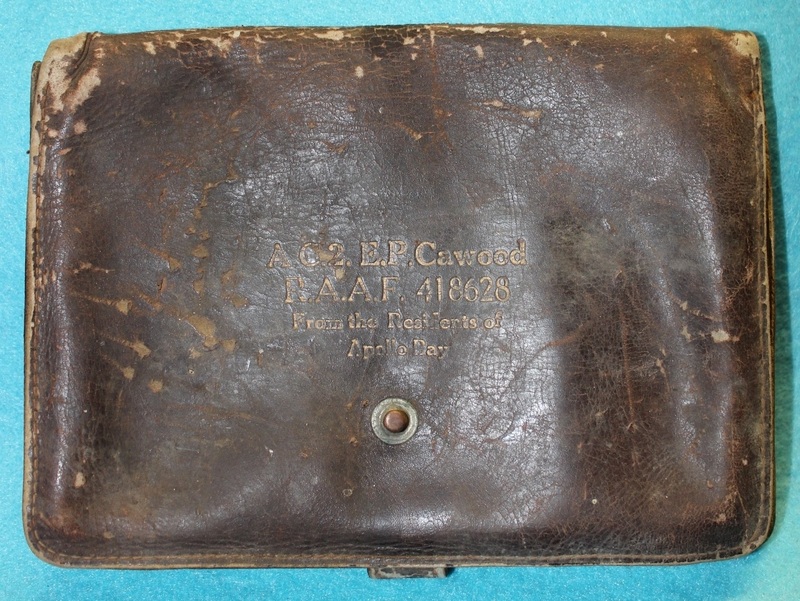 A well-worn brown leather wallet with gold embossed “AC2 E. P. Cawood RAAF 418628 from the residents of Apollo Bay, inside is his identification card. Eric Percival Cawood enlisted on 29 May 1942 at Melbourne and discharged on 11 Feb 1946 from 93 Squadron with the rank of Leading Aircraftsman. PH025. 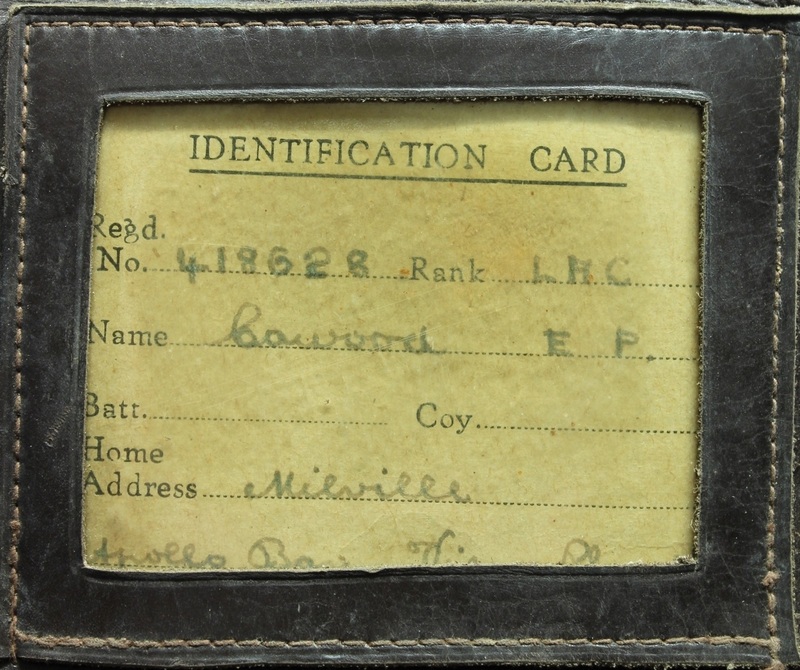 LAC Cawood's identification card. PI026. 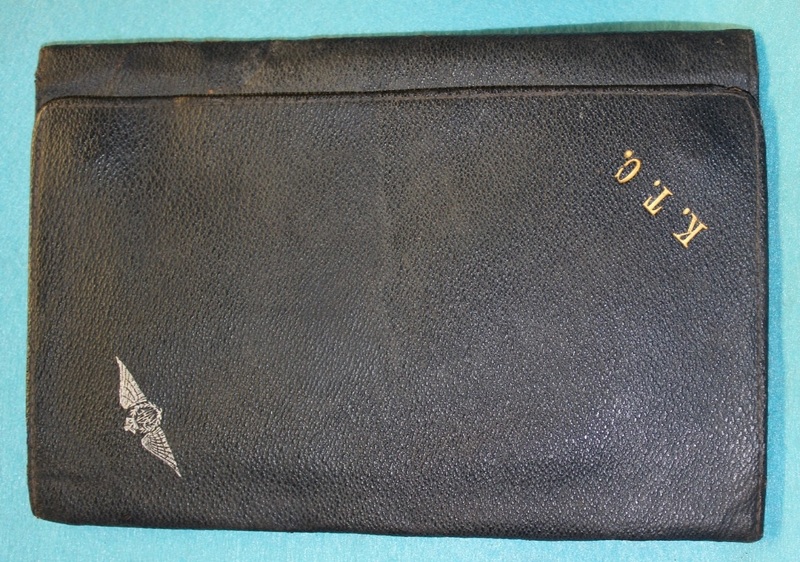 A black leather wallet with gilt and enamel wings attached inside is a small note book containing names and addresses. PI038. 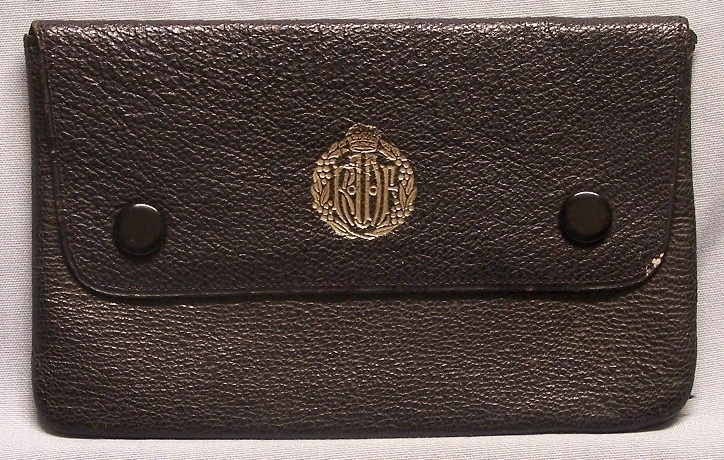 A black leather wallet with gold embossed ranks badge and slot for a shaving mirror. PI039. 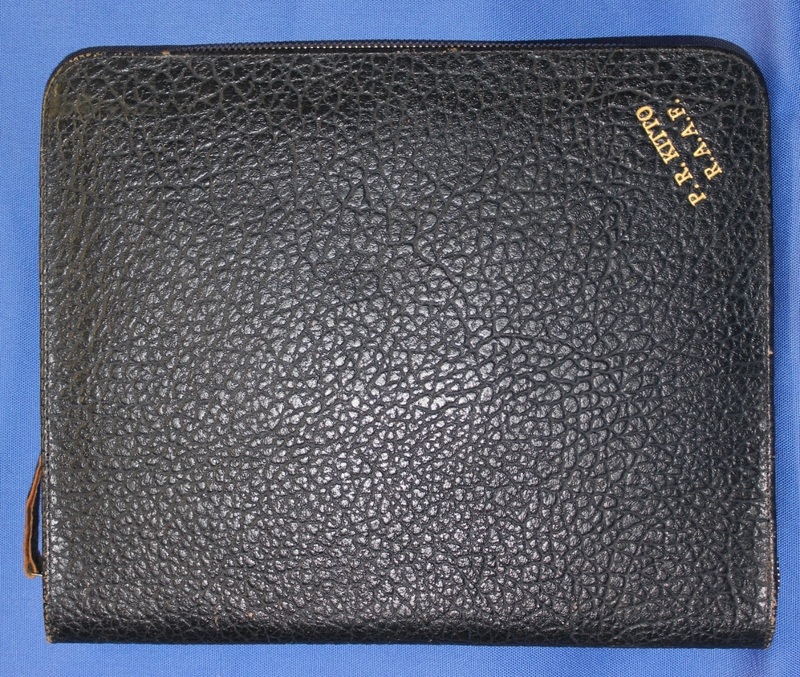 A black leather wallet containing a note book and pencil, this wallet belonged to 416266 Peter Rex Kitto. Peter enlisted on 28 Apr 1941 at Adelaide and discharged on 1 Oct 1945 from 7 Service Flying Training School with the rank of Flight Lieutenant. PI040. 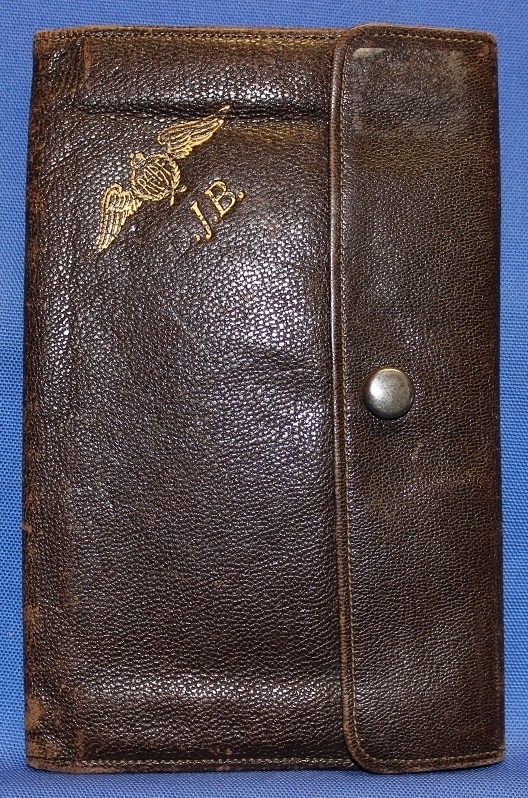 A small blue leather compendium with gilt and email wings, plus the letters P. R. K. embossed in gold. This compendium belonged to 416266 Peter Rex Kitto. It contains a small Personality brand note pad and a 1941/1942 calendar. Peter enlisted on 28 Apr 1941 at Adelaide and discharged on 1 Oct 1945 from 7 Service Flying Training School with the rank of Flight Lieutenant. PI041. 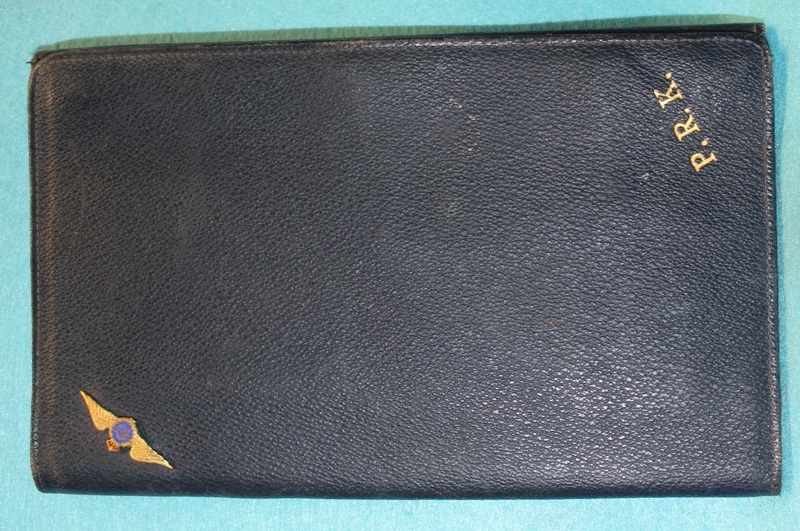 A black leather compendium with gold embossed P. R. Kitto R.A.A.F. It has compartments for a notepad, envelopes, stamps and pen, etc. and inside is a yellow pen and RAAF envelopes. Peter enlisted on 28 Apr 1941 at Adelaide and discharged on 1 Oct 1945 from 7 Service Flying Training School with the rank of Flight Lieutenant.